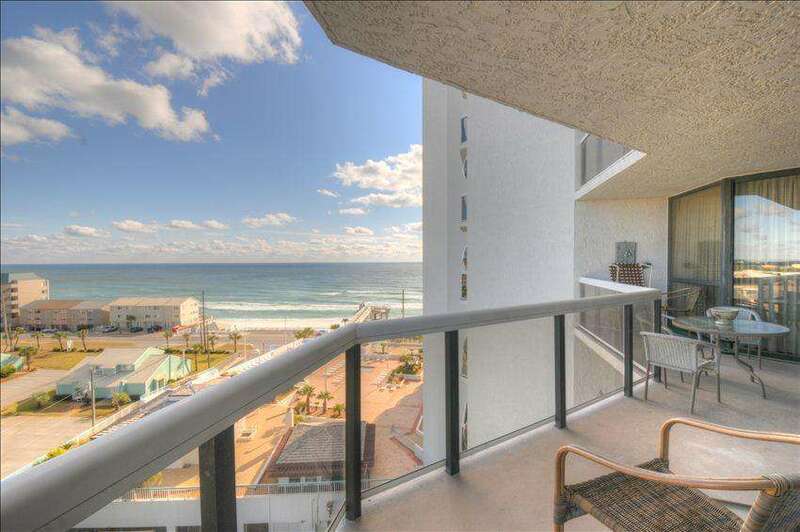 The fabulous view from this balcony will keep you coming back! Watch the sunrise over the emerald Gulf while enjoying your morning coffee. This pool side unit is where you need to be! The beautifully decorated living room will make you feel relaxed as you enjoy the view from the comfortable sofa! 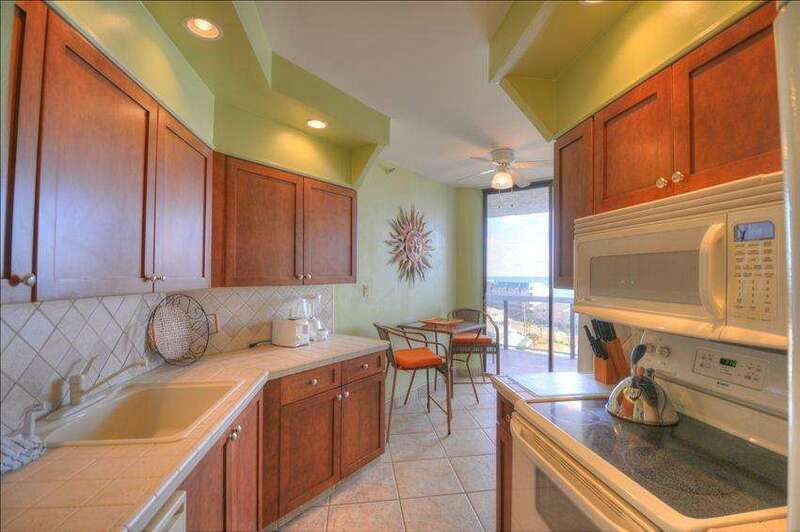 The large kitchen has views onto the balcony and beyond! The eat in area of the kitchen. The beautiful dining area opens to the living room and has seating for 6. 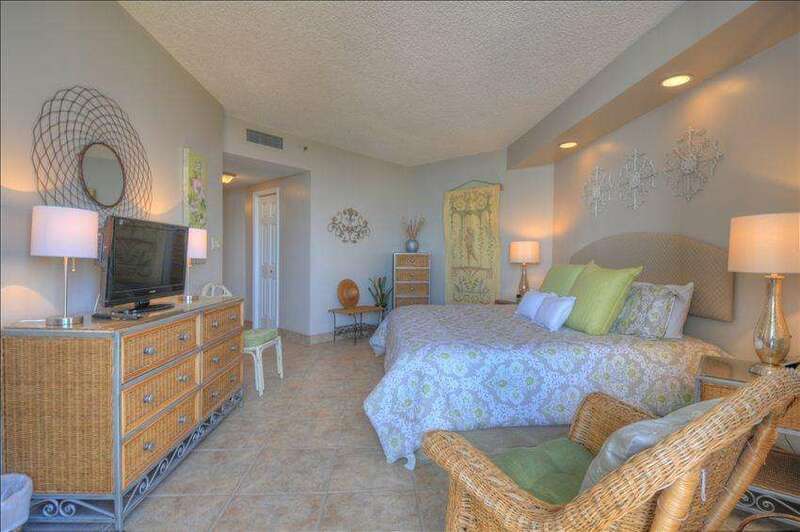 The large master bedroom is gorgeous! The view into the master from the balcony. 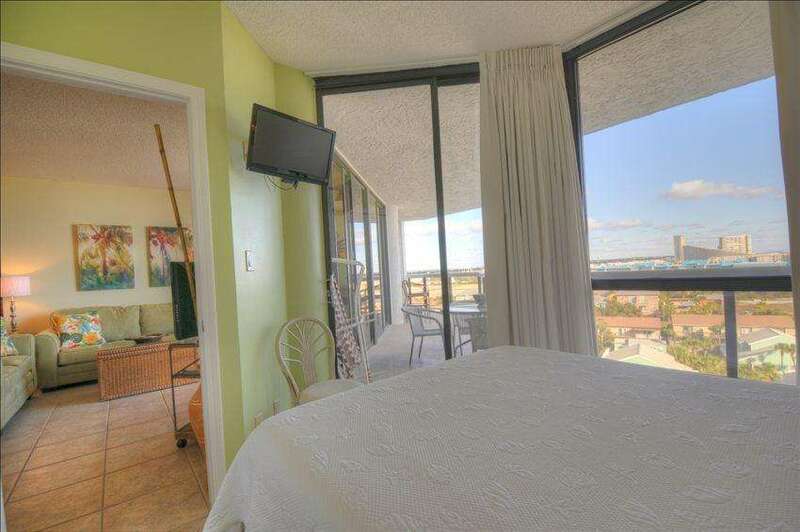 The second bedroom has balcony access and great views. View from the second bedroom into the living room and onto the balcony. The second bathroom features a tub/shower combination. 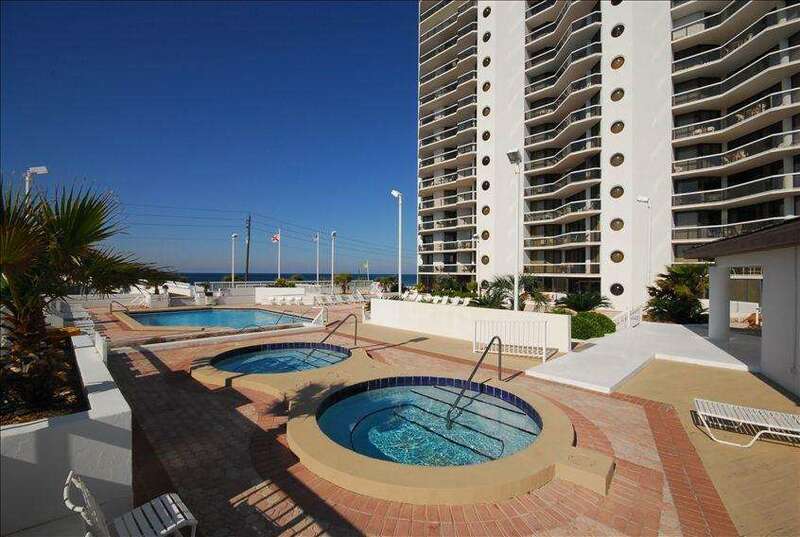 The pool deck features a large pool, 2 hot tubs, kiddie pool, tiki bar, saunas, and beach road walk over. Surfside's pool from the hot tub deck. 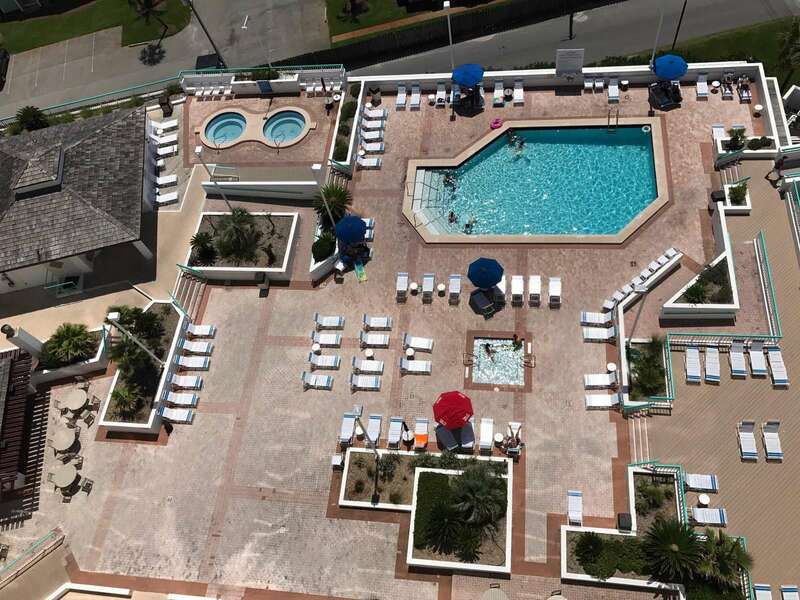 Ariel view of the pool deck. Enjoy the large pool which is heated in the winter. The large hot tubs are a great way to wrap up your day! The beach road walkover is a great place to watch the sunset. A beautiful sunset never disappoints. 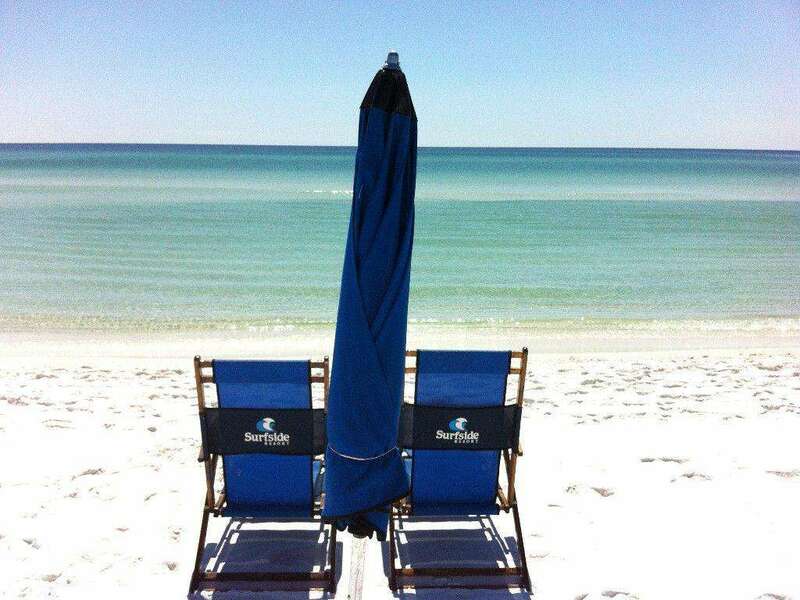 Free beach service comes with this unit- 2 chairs and an umbrella set up daily for you! 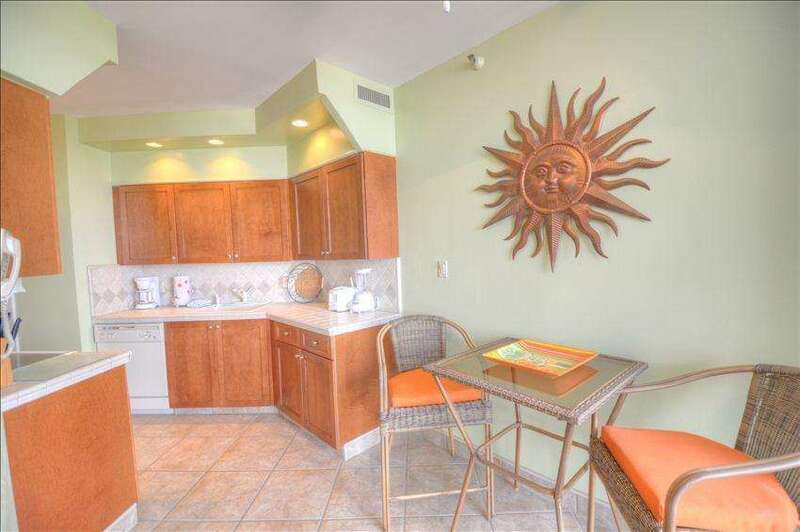 This beautiful 2 bedroom condo located in Surfside Resort is certain to bring you back again and again! 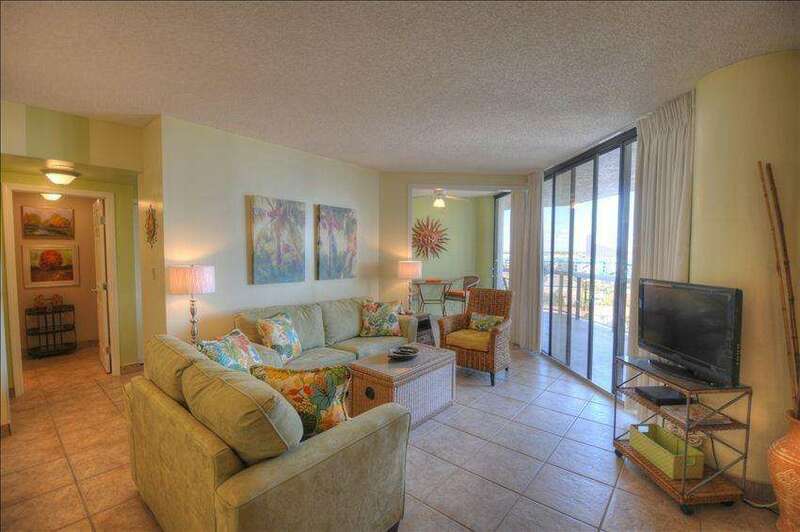 The 28 foot long balcony runs the length of the condo with access from every room! 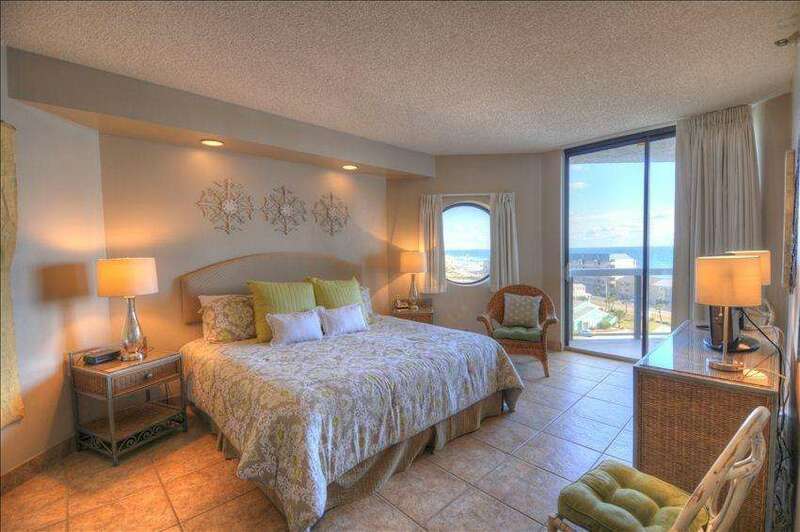 Enjoy views of the emerald waters of the Gulf of Mexico! This gorgeous 7th floor condo is on the coveted east side of the building where you can watch the sunrise while enjoying your morning coffee from the huge balcony. 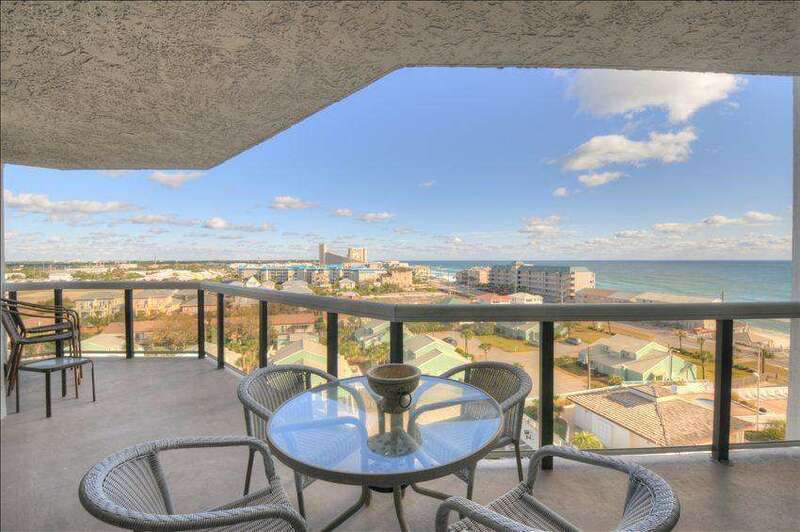 This 2 bedroom condo features a fabulous king sized bed in the master with an en-suite bath, large walk in closet, great views of the Gulf, and balcony access. 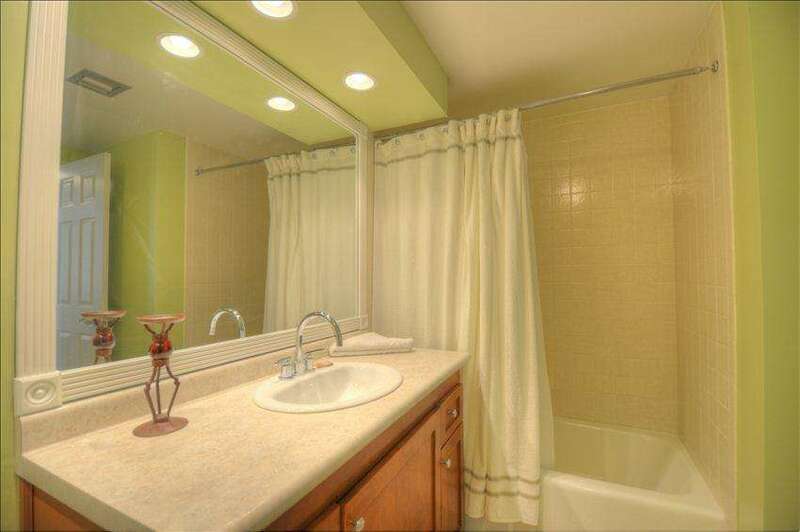 The renovated master bath has a large ceramic tiled shower with glass tile accents. 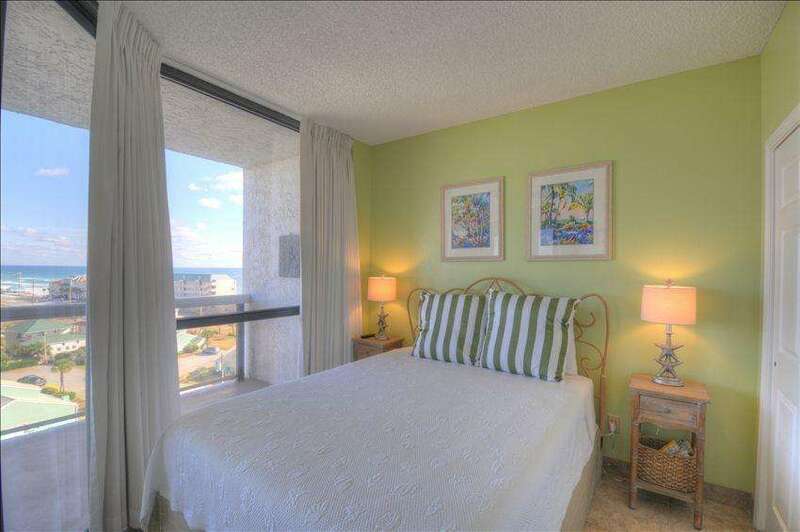 The second bedroom has a queen sized bed with balcony access and great views. There is a queen sized bath next door to this bedroom. The newly renovated guest bath has a shower/tub and is accessible from the living room for those sleeping on the queen sleeper sofa bed. 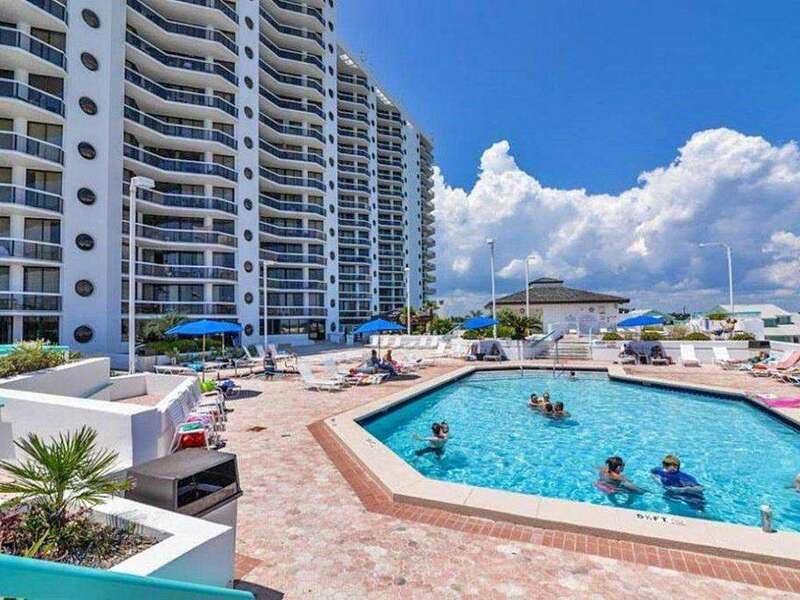 Enjoy the fabulous Amenities of Surfside! We welcome you to share in our home-away-from-home as your home-away-from-home. 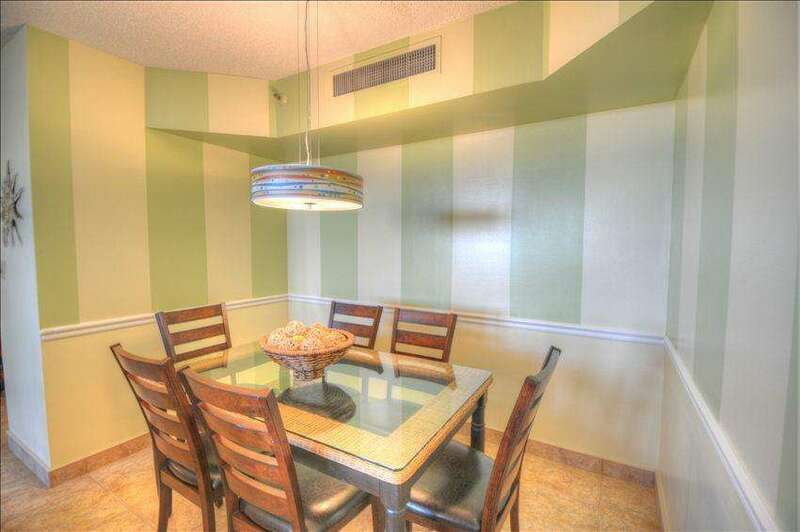 We have prepared this condo for our very own use and for those who want the very best!!! This wonderful condo is a 'non-smoking' unit. POLICY PROHIBITS RENTALS TO ANYONE UNDER THE AGE OF 25. Surfside Resort prohibits pets. This property has 1 King(s), 1 Queen(s), 1 Pull Out Sofa(s). Check out this beauty! 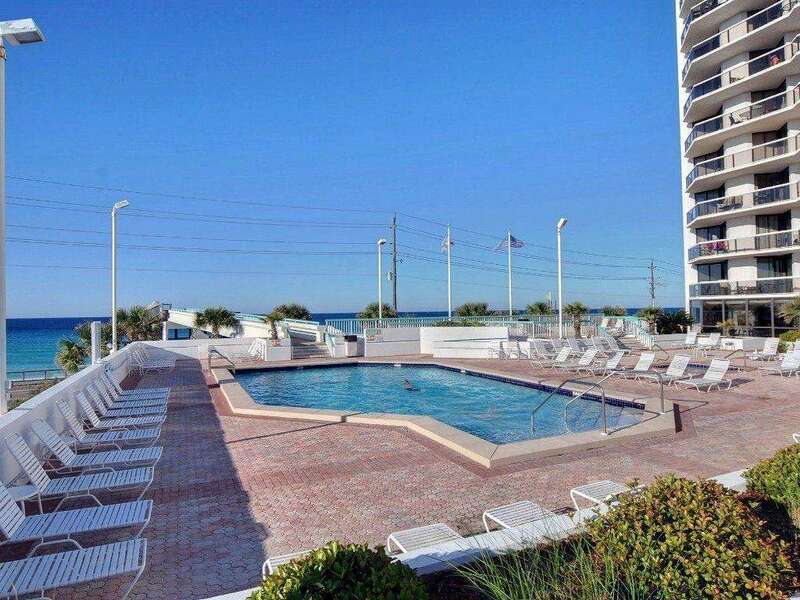 Surfside 709 has almost booked for the summer! 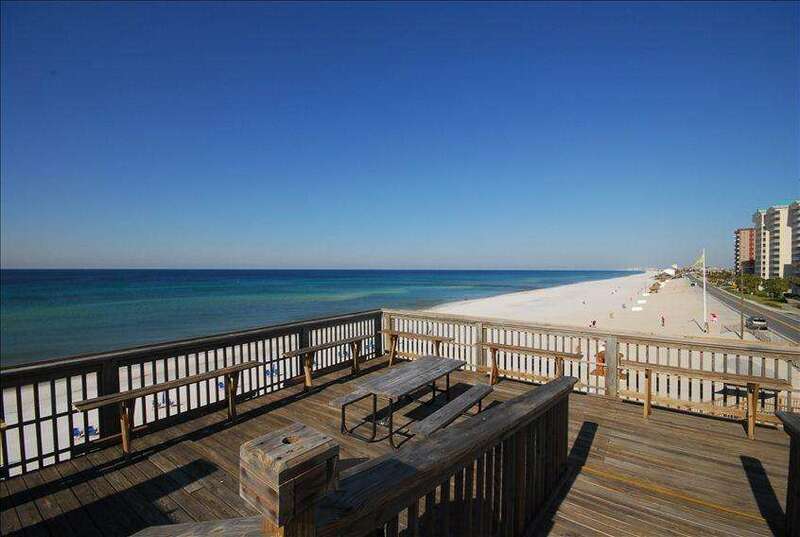 But, It is available as a last minute sale this week, 5/13-5/19, only $129 a night! Today the ocean is a paddle boarders dream! Flat, clear, emerald water with a light breeze! 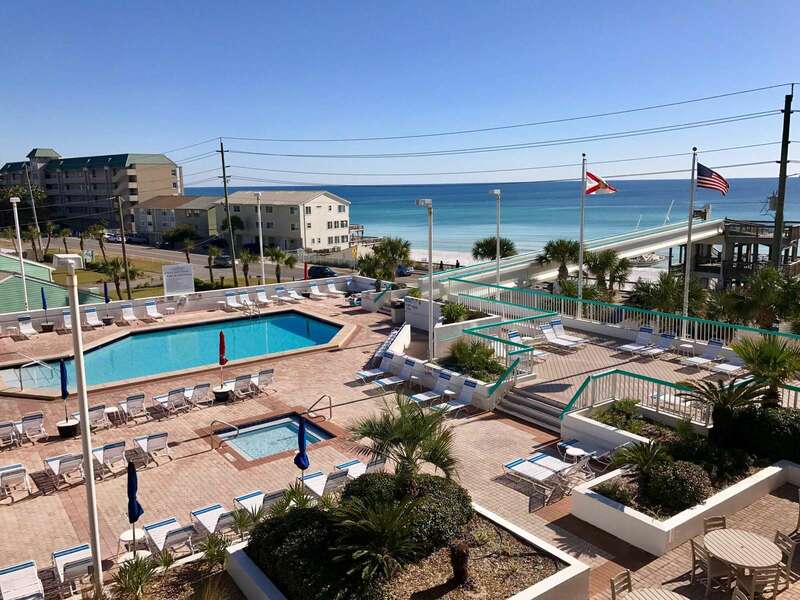 It’s going to be a great week for a vacation to Destin! The view today from our fantastic Gulf front condo, Surfside Resort 1402! Watch dolphins from your living room! It’s 76 and sunny in Destin. Today’s view from 1201. The water is showing off it’s amazing colors! We are booking up fast! 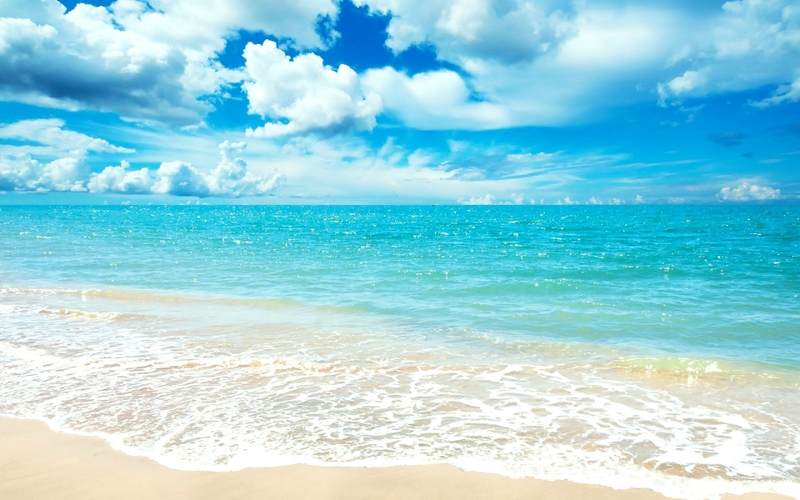 Contact us today for your beach get-away! We have condos available next weekend! Come on down for the Sandestin Wine Festival! Spring has sprung in Destin! Introducing 2 of 4 new properties we are now managing! Check out these great condos. Contact Julie Youmans for more information 404-538-7488 (details in the photos captions). Sunrise this morning in Destin! Currently 79 degrees and sunny! Lunch on the harbor at Boshamps in Destin. 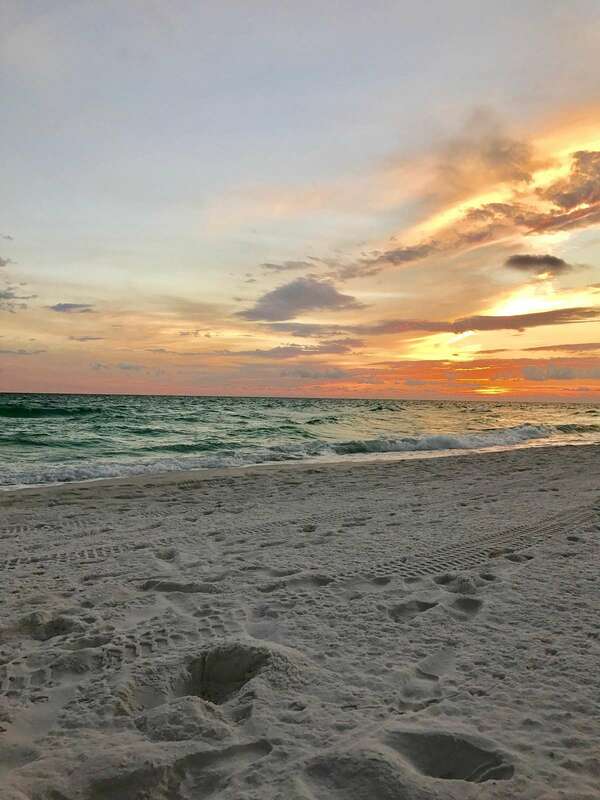 There is so much to do in Destin! Contact us for great deals for March and April! Three different shots of today’s sunset... every minute it’s new!